The SIHH 2019 has opened its doors and as you all know, it is not just about Richemont brands anymore. Independent brands are also exhibiting resulting in a flurry of new watches. 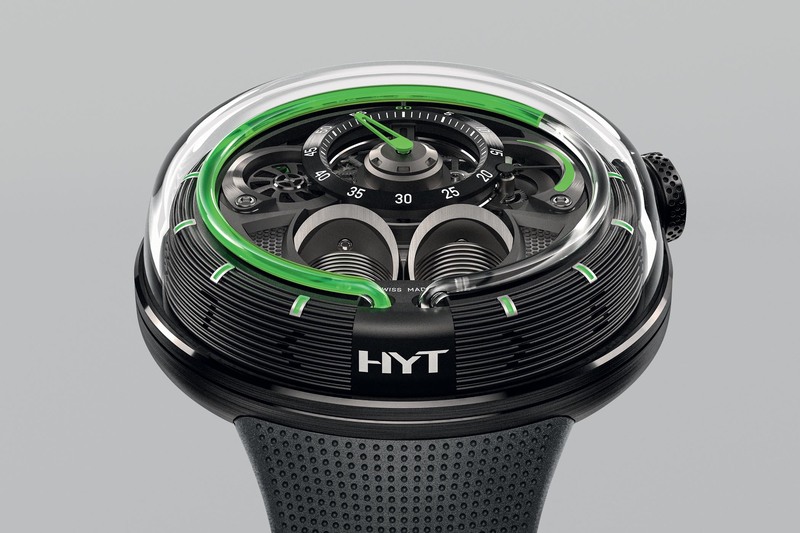 Next up is the latest chapter in the HYT fluidic watchmaking adventure, the HYT H1.0. 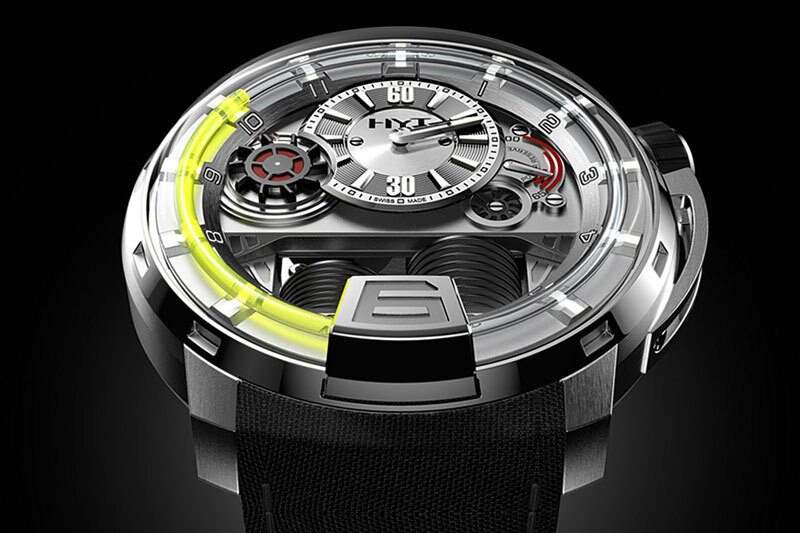 Not entirely new as a mechanical watchmaking concept, but still worth having a look at a significantly redesigned H1. 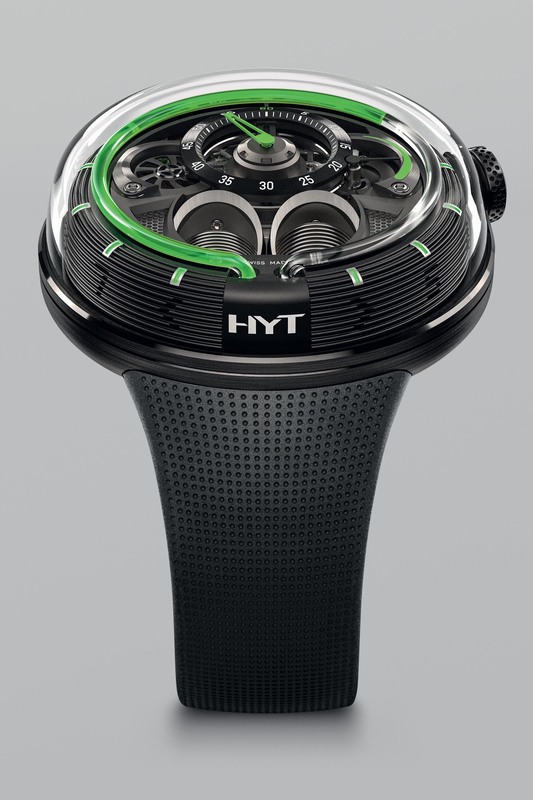 Fluids and mechanics are not close friends, but people at HYT have proven it is possible to combine both in a watch. 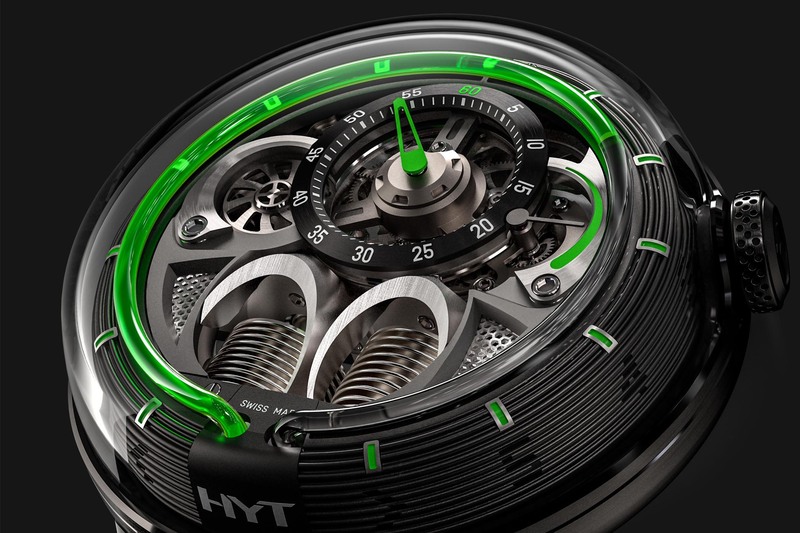 Since its birth, this has been the identity trait of every HYT watch to leave the workshop, and it probably will be for a long period of time. 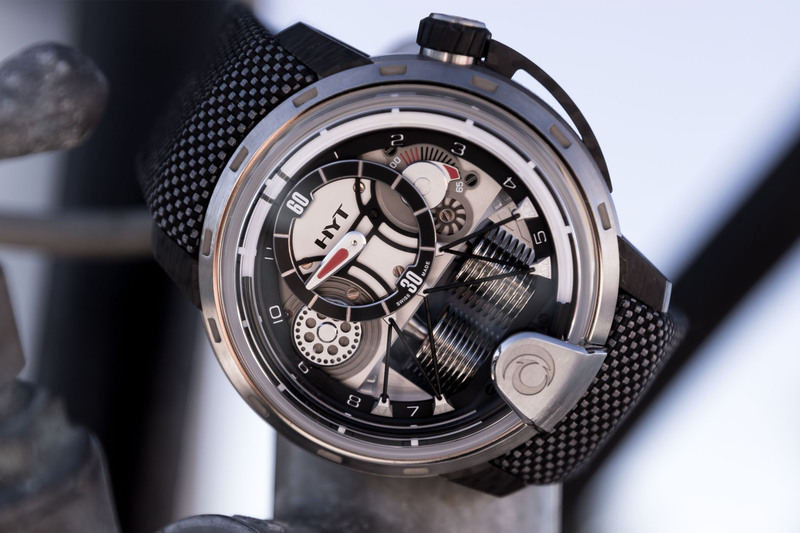 The new HYT H1.0 offers more of the same, but in a new design with a big bonus; increased usability through better water-resistance and friendlier, more wearable dimensions. The movement still indicates time through a capillary on the dial, with two immiscible liquids inside. The technical explanation for this concept is something you should be familiar with by now, but if not; here goes! In a nutshell, a mechanical movement powers two bellows to pump fluid through a glass capillary indicating the flow of time with the separation between two immiscible liquids functioning as the hour hand. 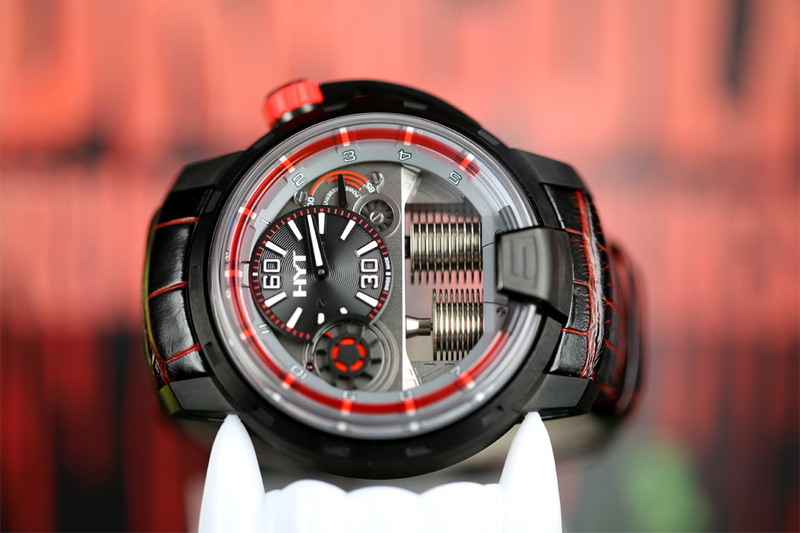 Housed in a 48.8mm wide case, making it a “smaller” HYT just like the H0, it is a slightly more wearable watch. Height is still pretty hefty due to the space needed for the capillary and the bellows. 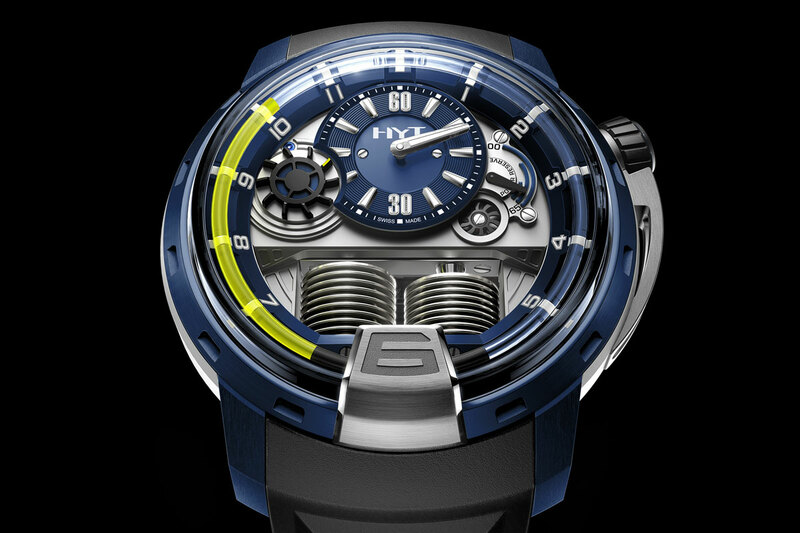 Time is also visible from the side of the case since the movement is covered by a steeply domed box-sapphire crystal. In the ribbed sides of the case, hour digit cut-outs reveal the liquid in the capillary underneath. The movement inside is the same as the inaugural proprietary movement developed with/by Chronode. Accompanying the liquid hour indication, you get an off-centre minute dial matched with a power reserve indicator on the right and a running seconds indicator on the left. Centre stage is reserved for the bellows. Water-resistance is boosted from 30 to 50 metres, which is still limited but enough to wear it on a daily basis. Three versions will be available; silver case with blue liquid, black case with green liquid, anthracite case with red liquid. 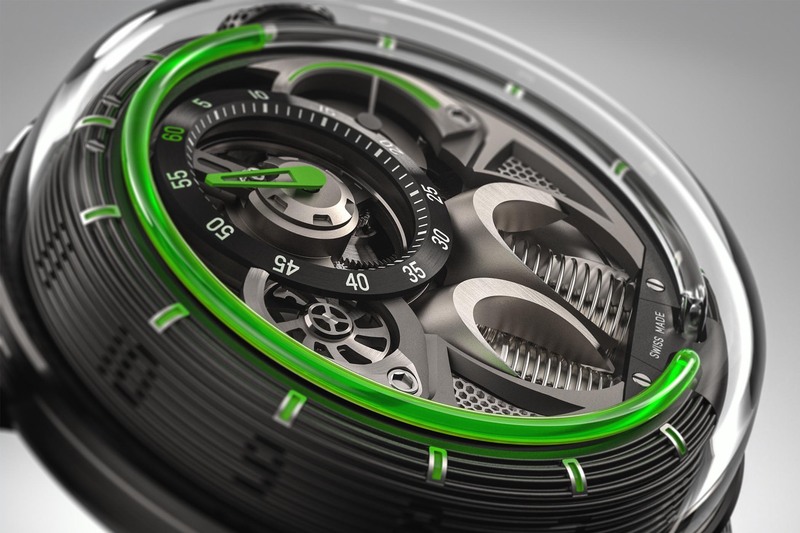 The watch will retail for CHF 49,000. 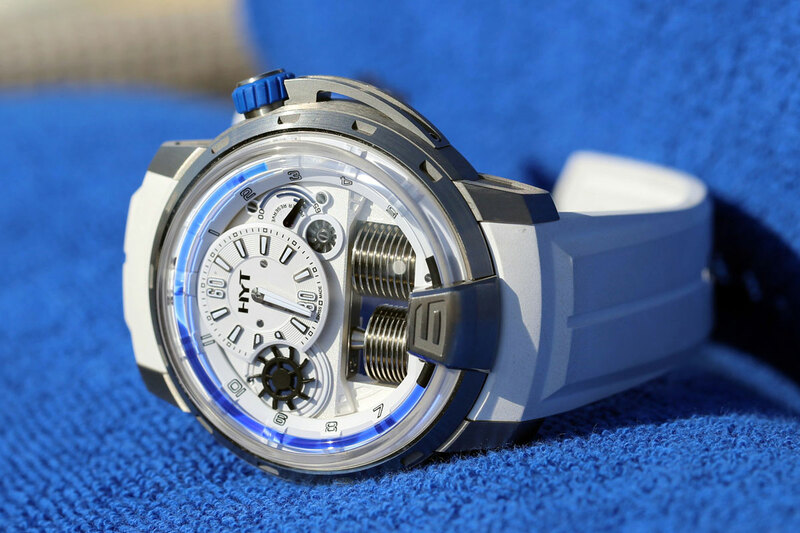 More on www.hytwatches.com.